My closet looks pretty boring colour wise right now. I usually have an array of colours hanging up in my closet, but my postpartum capsule is rather neutral. I have found that most of the capsule wardrobes that I have seen done by other people have a neutral palette. I used to think that the lack of colour would bother me so I never really went that way when I was planning my capsules. I have discovered that although I like to see colour in my closet, I don't often choose to wear it. I like wearing neutrals with a few pops of colour here and there. 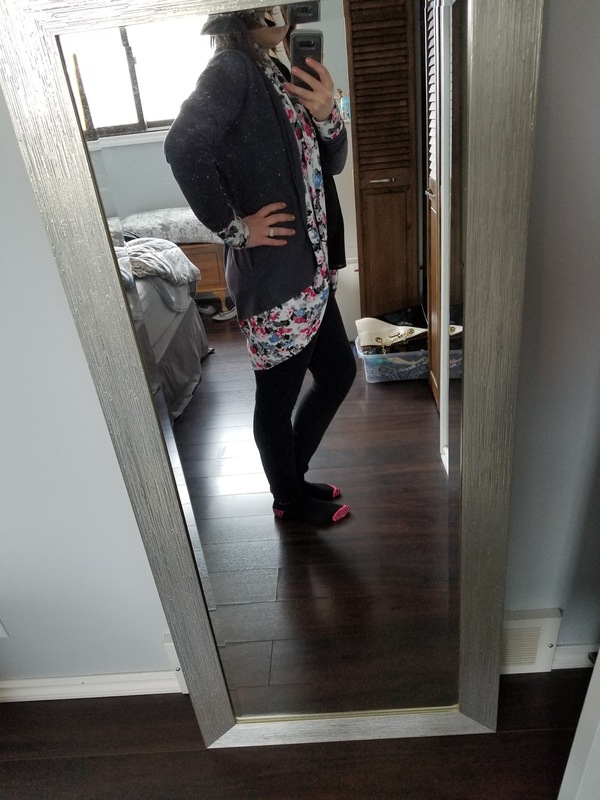 My capsule has been super easy to use this time because everything is so easy to pair. I love this outfit because it is basically all neutral except for the pops of colour on the trim of this cardigan. Basically black and grey are my favourite colours to wear. 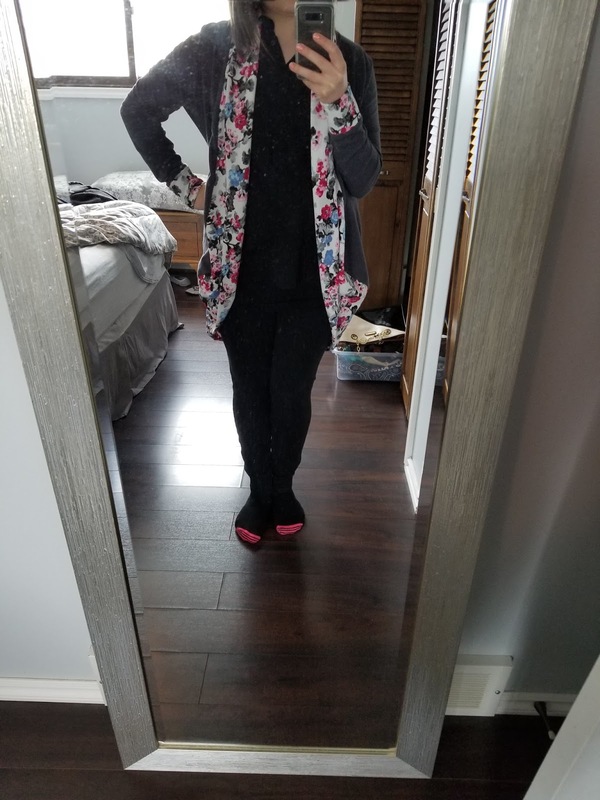 This cardigan is adorable. I love that the length gives great bum coverage (because #leggings) and the fact that it has pockets. If you are a Mom, you need pockets. Seriously. The floral pattern is so pretty and brings some life to the outfit. My friend Charlotte made this cardigan and I really love it. You can find her clothing shop on Facebook (here). Her shop is called Lions and Lambs. She makes women's and children's clothes. Her items are beautiful and unique. This is not an ad, I just really love her stuff!